Oil jumped as the U.S. cruise-missile attack against Syria roiled global financial markets. Futures in New York and London surged more than 2 percent to the highest in a month. 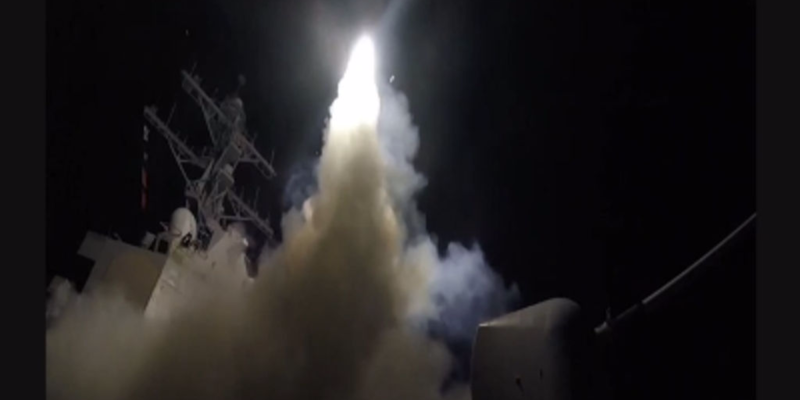 The strike early Friday morning targeted hangars, planes and fuel tanks at one Syrian military airfield, according to a U.S. official. Syria borders Iraq, OPEC’s second-biggest crude producer. The news rippled across financial markets, with the yen and gold advancing as stocks declined.